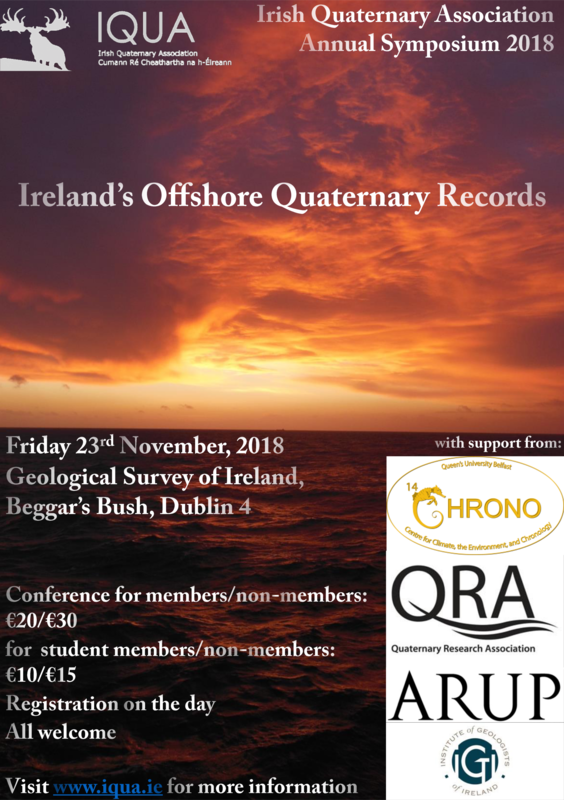 This Symposium will review the progress being made in mapping and understanding the Quaternary record in Irish offshore waters. 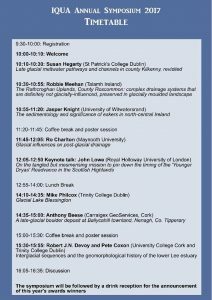 Advances in our understanding of the Quaternary history of Irish shelves will be compared to ongoing research in neighbouring regions, including discussion of the schemas emerging to classify and age constrain known sequences. The Symposium will introduce research utilising a wide variety of data types including bathymetry, shallow and deep seismic profiles and geological sampling being applied in programmes such as INFOMAR.